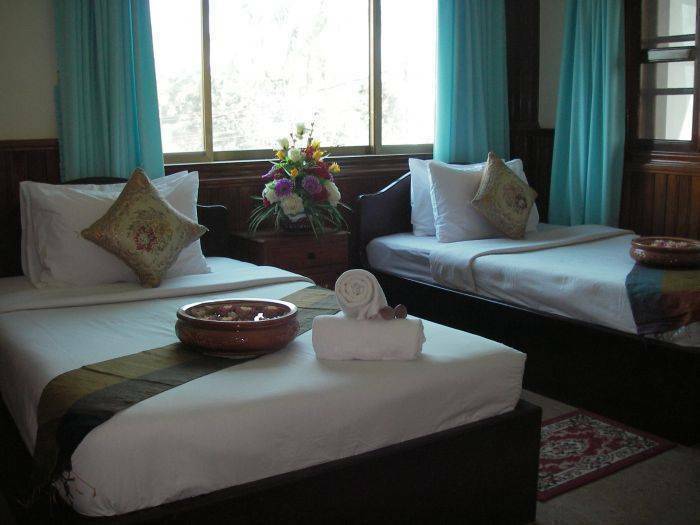 Advisor Angkor Villa & Angkor Tours opened new hotel in a private villa with Khmer style furniture, familiar atmosphere, absolute quiet garden and dustfree location. 7 minutes to Old market and Pub Street with our free of charge transportation. 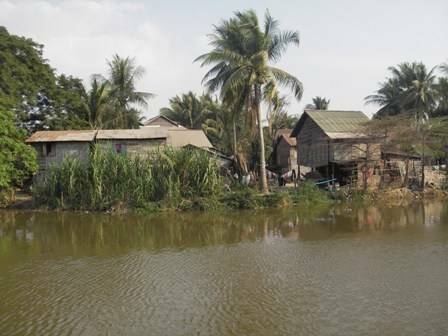 Easy to find from Siem Reap, on the road to the Angkor temple, next to Killing Field museum. 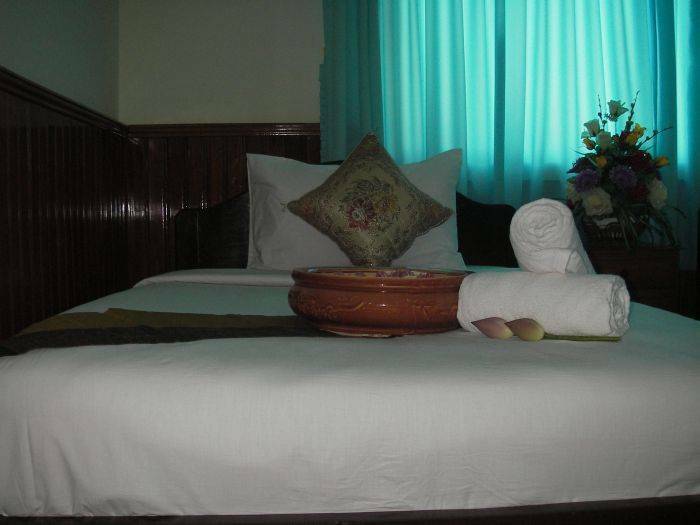 We can offer you absolutely clean and wonderful appointed rooms with all standards. 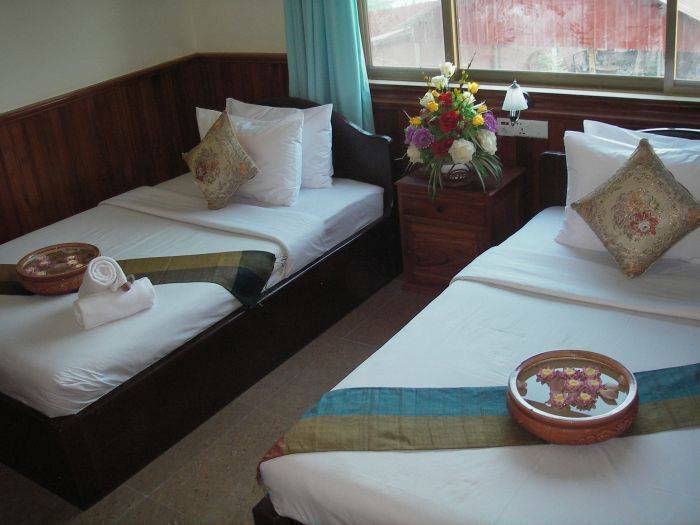 Mini bar, Cable TV, electric lamp, bar, hot water, private bathroom, alarm clock, traditional Khmer pictures, slipper, fresh atmosphere, window, 24 hrs securities. Enjoy your relaxing and peaceful place for your short holiday. **Making your reservation with us, you can enjoy free pick up. To receive this free service just confirm about your arrival time, and flight number. But if you come by bus, please tell us about Bus Company's name. It has many bus stations in Siem Reap. 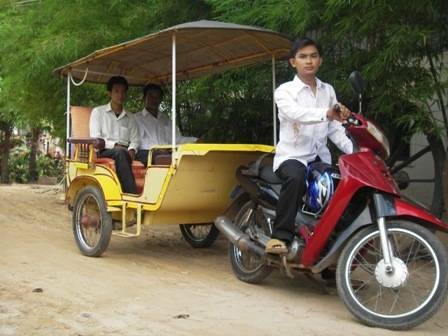 Anyway all of bus companies in Siem Reap, They have own business with Tuk Tuk drivers. So if you come by yourself, maybe you can't come our villa, because driver will talk to you, after you follow them, they will take you to other hotels or guesthouses with big commission. So we hope that, you can understand about our information. ***Call us by yourself; please don't let someone (Driver) ring for you, when you let them to call us, they'll say "our room full or our phone can't contact". A/C climate control Fireplace (electric) Fireplace (gas) Hairdryer Iron/ironing board Maid service daily Mini-bar Non-smoking rooms Private bathroom Smoking rooms Television Television (cable/satellite) Toiletries WIFI Wake-up calls Mini bar Cable TV electric lamp bar hot water private bathroom alarm clock traditional Khmer pictures slipper fresh atmosphere window 24 hrs securities. Komay Street, Phum Trapeang Ses, Khum Kok Chok, Siem Reap.